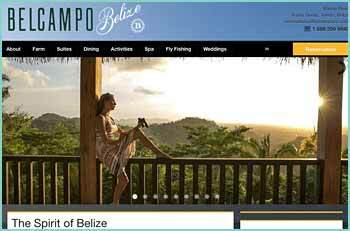 Belcampo sits on a hilltop five miles inland from the fishing village of Punta Gorda in southern Belize, not far from the Guatemalan border. 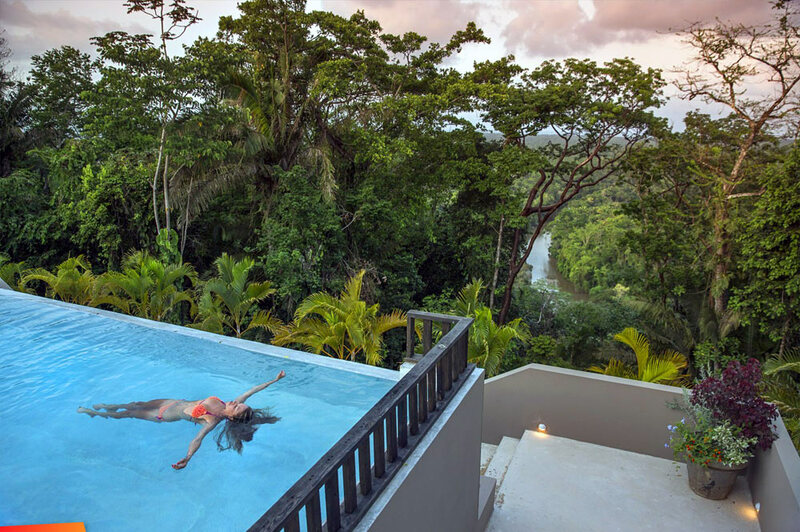 The resort — which includes a main lodge and 16 suites set along the hillside — is in the midst of a vast rainforest, home to a host of animals, including howler monkeys, tapirs, jaguars and more than 250 bird species, such as the keel-billed toucan, slaty-tailed trogon and brown-hooded parrot. (Some 12,000 acres of intact jungle surround the resort, put in protection by Belcampo’s owners as a nature reserve.) Several hundred acres of jungle below the lodge have been cleared to make way for Belcampo’s organic farm, where 50 varieties of fruit and vegetables are grown, and pigs, chickens and lambs are raised. More than 80 percent of the food that’s served at Belcampo is harvested from the farm, and it’s served fresh; as Chef Renee Everett put it, “99.9 percent of the veggies we serve were in the ground this morning.” Belcampo is also planting over 7,000 cacao plants on the hillsides surrounding the farm, and it will soon be harvesting sugar cane, which will soon provide raw material for a rum distillery that’s being built on the property. From a story in the Washington Post about Belcampo, for the whole article click here.